On arrival a quick visual inspection will be performed to assess any problems and the best way to tackle the job. 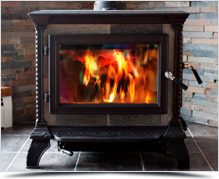 We will prepare the area prior to sweeping with sheets and seal the chimney/ flue using various different methods. All equipment used will be placed on sheets ready for the sweep; walkways will also be sheeted if needed. time we are sweeping if necessary. 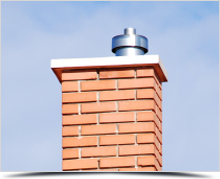 and a smoke test will then be performed to assess the draw of the chimney/flue. Equipment and sheets removed and area left clean and tidy. On completion of the job a certificate will be issued with any problems noted. The certificate is needed in some cases to validate buildings insurance. It is our aim to give you a clean prompt and reliable service that you will use year after year so call today for an appointment. 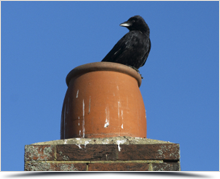 Not just a Chimney Sweeping Service!